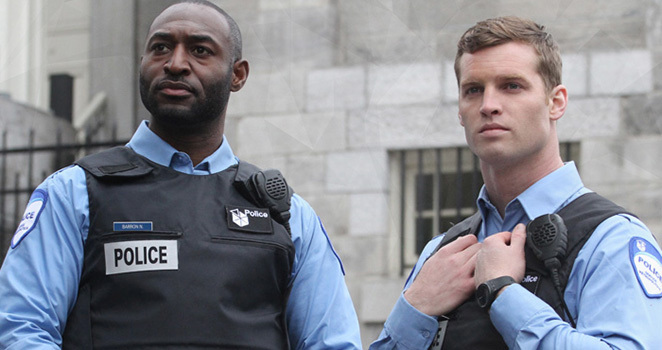 The third season finale of 19-2 airs Monday at 10 p.m. on Bravo. That gives Jared Keeso about two weeks before he has to jump right into production on Season Four. In between, he’s been writing scripts — sometimes from the passenger seat of a car — for his CraveTV comedy Letterkenny. A second season of that show airs later this year. production on a third season will take place in January in Sudbury, as soon as Keeso is finished shooting 19-2. Got all that? Keeso is working his tail off, but, hey, he’s only 32. It’s a nice problem for a Canadian actor to have: working two hit shows in Canada. Holmes credits back that up. In recent years, he’s appeared on several top Vancouver productions, including Arrow, Continuum, Motive, Cult and even Hallmark’s Cedar Cove. Read my story on Keeso and the 19-2 season finale here in The Toronto Star’s pickup of my CP piece.